Being headquartered in Suwanee, Georgia, The Brainy Company is leading designer company that markets and developed early educational tools. Their educational tools are DVDs, CDs, books, games, puzzles and toys for children between the ages of 9 months and 5 years. The Brainy Company products are specialized to give children a learning experience to life by uniting three key elements: A rigorous, proven learning methodology, multi-layered content and intuitive, engaging delivery of the content and learning experience. The Brainy Company product ABCs: Alphabet Collection, includes: ABCs Introducing the Alphabet Dvd ages 2-4, ABCs Introducing the Alphabet Book Ages 1-4 and ABCs Introducing the Alphabet Flashcards Ages 1-4. It's a great collection to educate a child to learn words, alphabet and the meaning of objective and letters. My boys Davian is a year old and David is 4 years old. The ABCs: Alphabet Collections is great 3 piece set, that can help both of my son's progress. 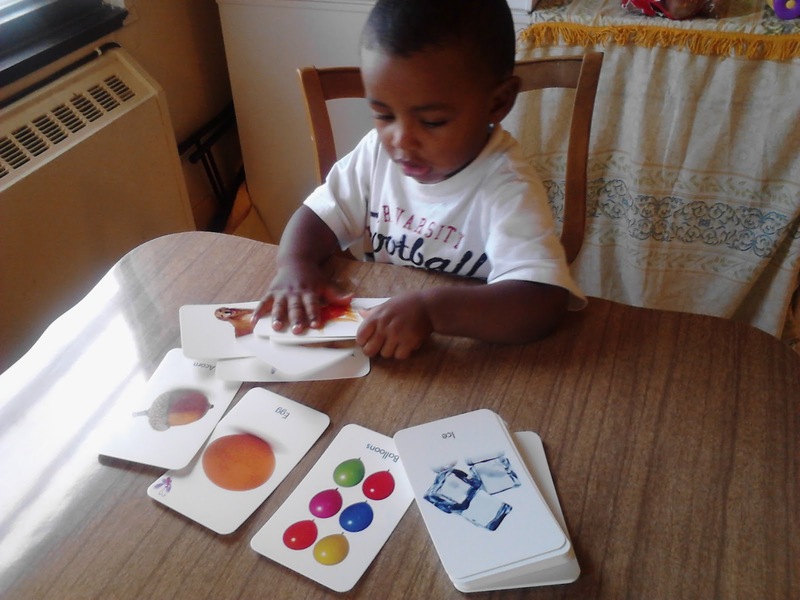 Davian is learning words, objects and how to pronounce them. David is learning words but also how to spell letters and words. 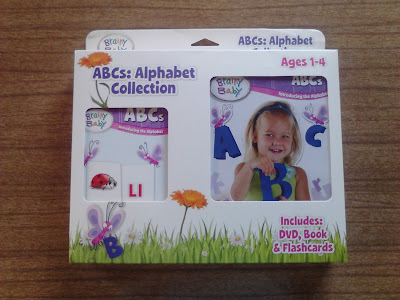 The retail price for The ABCs: Alphabet Collection is $24.99. 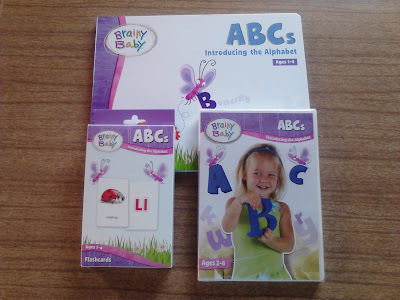 To see the ABCs: Alphabet Collection or buy them individually visit them at The Brainy Company. You can view other products or buy it here. 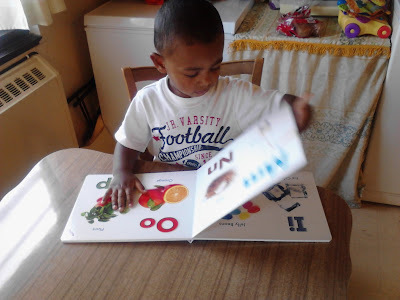 Davian likes looking through the ABCs Introducing the Alphabet Book and ABCs Introducing the Alphabet Flashcards. He's learning words, objects and the alphabet. He interested in learning and tries to repeat the words I say to him. I just like how ABCs Introducing the Alphabet Dvd starts. Your kids will get music, kids and learn words. I have upload a video of Davian watching it. The ABCs Introducing the Alphabet Dvd running time is about 45 minutes. It introduces upper and lower case letters, multiple letter sounds, fun vocabulary words and more. You also get special features sing-along, behind the scenes and baby bloopers. To find out about their special $$ sales on products. Connect with The Brainy Company on Facebook and Twitter. The Brainy Company is sponsoring the Blogorama Bonanza Back 2 School 2012 Event. The event starts August 20th at 12:00 AM. Come back at 12:00AM to enter to win a ABCs: Alphabet Collection. It includes: ABCs Introducing the Alphabet Dvd, ABCs Introducing the Alphabet Book and ABCs Introducing the Alphabet Flashcards.